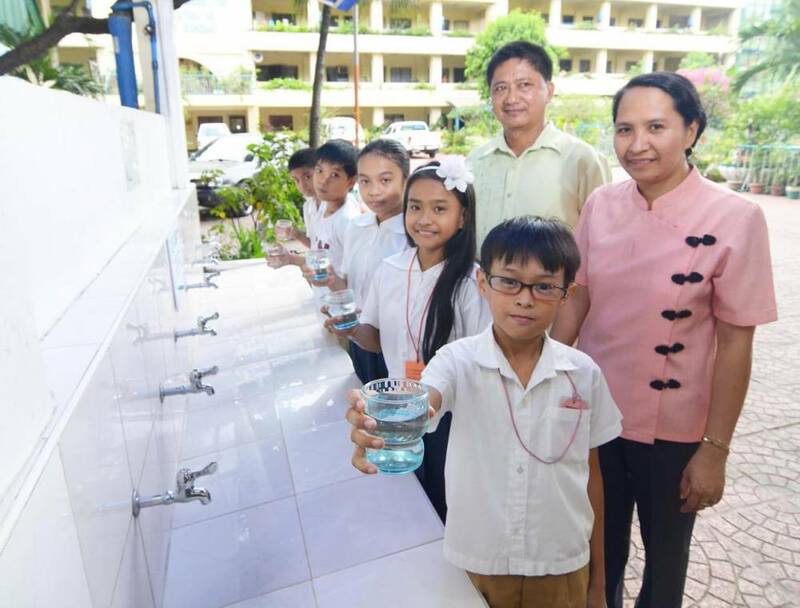 Manila Water supports DepEd’s Brigada Eskwela | Manila Water Company, Inc.
Ayala-led water and used water provider Manila Water has been a staunch supporter of the Department of Education’s Oplan Brigada Eskwela which formally kicked off last May 15. Manila Water Corporate Strategic Affairs Group Head Jeric Sevilla said the company has undertaken 316 successful Lingap Eskwela projects to date in support of the annual Brigada Eskwela activity. Under its Lingap Eskwela program, Manila Water ensures that schools, particularly public elementary and high schools within its concession area have access to potable water, complete with drinking fountains and wash areas. The program also ensures that the schools’ septic tanks are desludged regularly. As part of its support activities, Manila Water will also ensure that all its ongoing projects such as excavations and pipe-laying activities near schools will be properly kept and managed in time for the school opening in June. Manila Water also conducts water sampling and testing in various schools as a way of ensuring that school’s water supply is clean and potable and compliant with the stringent chemical, microbiological and physical parameters set by the Philippine National Standards for Drinking Water. Manila Water, the East Zone concessionaire of the Metropolitan Waterworks and Sewerage System, provides water and used water services to more than 6 million residents in San Juan, Pasig, Mandaluyong, Marikina, Makati, Taguig, Pateros, portions of Quezon City and Manila and Rizal Province.